Day 1 Activities: An Ethical Elephant Experience. 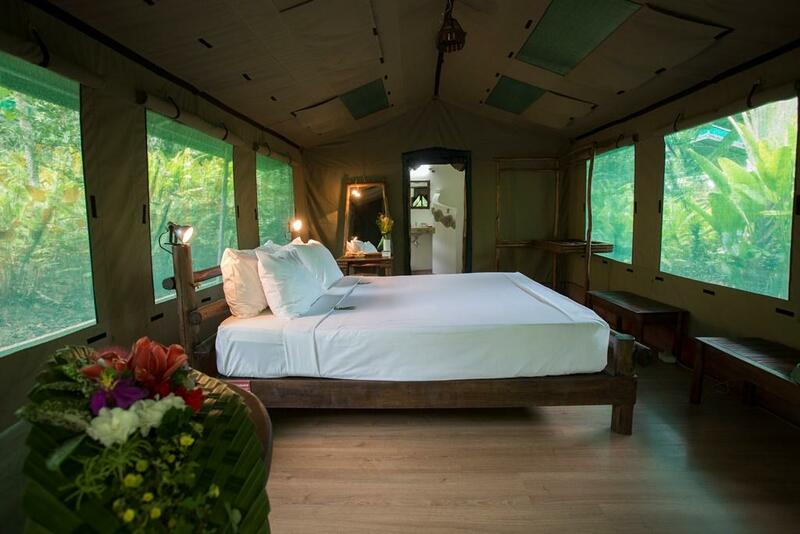 Transfers provided from your airport or hotel to Elephant Hills Camp in Khao Sok National Park. The Elephant Experience: Prepare to be amazed as you feed and interact with Thailand’s most beloved mammal, the Asian elephant. An encounter you’ll never forget, in a setting unlike any other. 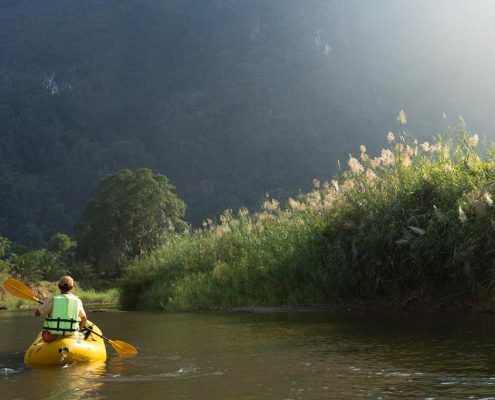 Glide down the Sok River in a guided canoe, enjoying the breathtaking scenery as you go. In the evening, choose from a movie presentation, cooking demonstration or traditional dance performance. Day 2 Activities: The Remarkable Rainforest. 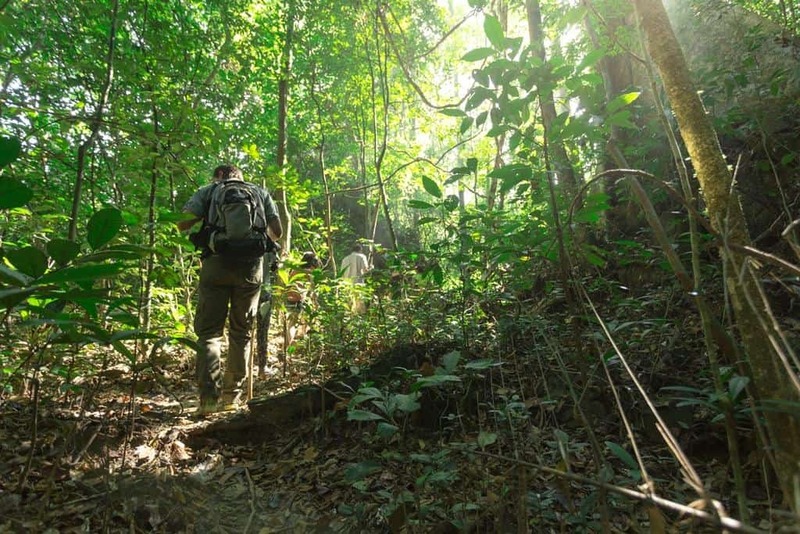 Explore the jungle by foot as you trek through the ancient rainforest. 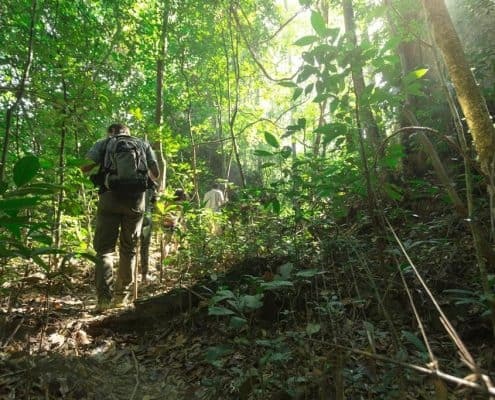 Wildlife and exotic plant spotting deep inside the Khao Sok jungle. Return to camp and prepare for onward transfers to your next location. Please note that all of the mentioned activities are, to some degree, dependant on the weather and local conditions and as such, may be subject to change. A pre-arranged transfer vehicle will collect you from the airport or your local hotel in Krabi, Surat Thani, Phang Nga, Phuket, Khao Lak, or even Koh Samui, whisking you away to Khao Sok National Park. Keep your eyes open as you travel through the countryside of Southern Thailand, seeing rural life off the beaten trail. On arrival at Elephant Hills Camp, you will be served a buffet lunch of freshly prepared, authentic Thai dishes with something to please all palates. 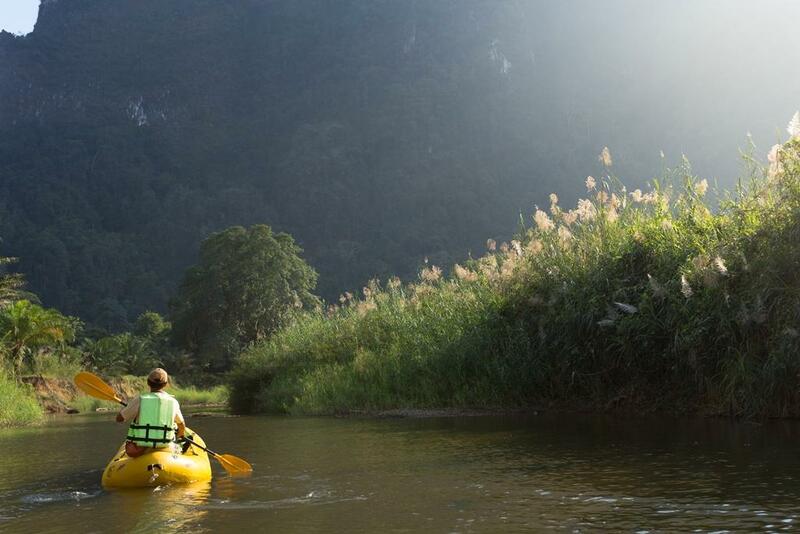 After refuelling, it’s time to set off on your first adventure, a jungle river canoe trip along the Sok River. The canoe will be paddled by a local river guide, so sit back and take it all in. 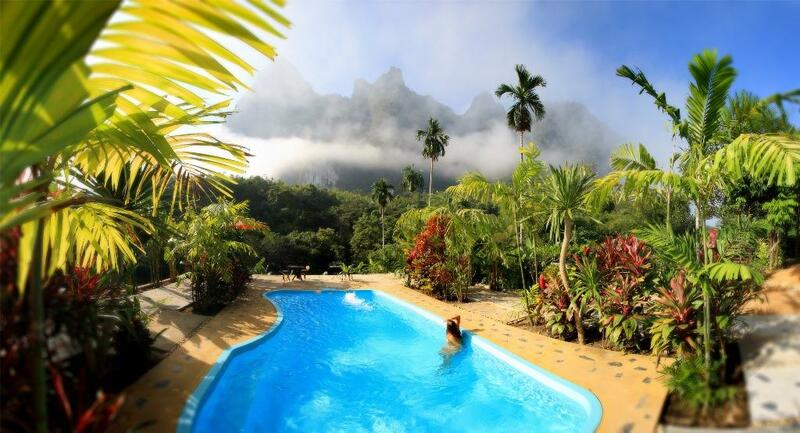 Drift past towering limestone mountains, cliff faces adorned with tropical vegetation and of course the dense rainforest, practically untouched by time. If you look to the skies you may catch a glimpse of hornbill birds flying overhead, while on the banks of the Sok River you might spot one of the native reptiles basking in the sun. 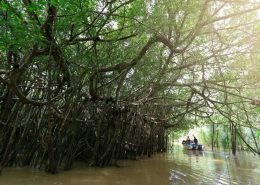 Disembark from the canoe and next, head to the elephant park, rated by the Tourism Authority of Thailand as Thailand’s most animal-friendly due to its focus on ethical ecotourism and animal welfare. 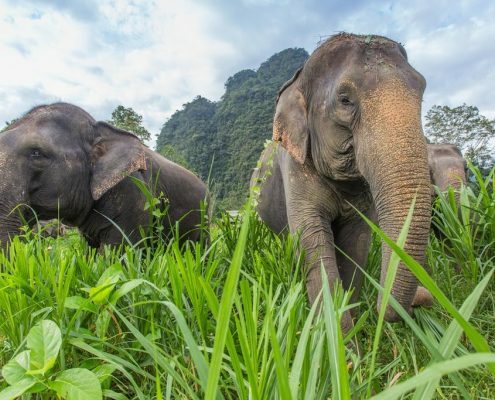 Here, you’ll learn about elephant conservation projects, the life of an Asian elephant, and hear from the elephant caregivers, or mahouts, who look after these beautiful mammals. Then comes the most exciting part, preparing lunch for the elephant and being given an opportunity to hand feed it. Ensure you have a camera at the ready because this is a moment you’ll never want to forget. There’s no better way to end a day in the rainforest than with a hot shower and a cold drink. 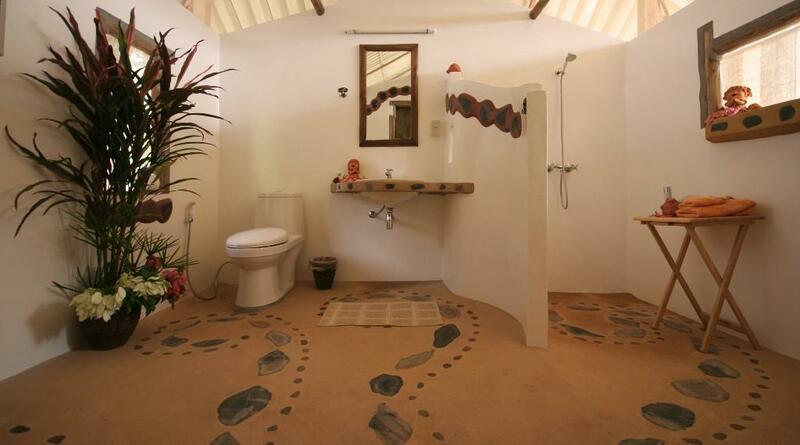 Enjoy the hotel-quality facilities in your luxury safari tent’s en-suite bathroom, before heading to the Jungle Explorers’ Club Bar. Here, you can discuss the day’s events with fellow travellers over cocktails, wine or spirits and take in the panoramic views of the surrounding mountains. Optional entertainment this evening includes traditional Thai dancing performed by students from a local school, a Thai cooking demonstration, or a movie screening. Dinner is served at 8:00 pm, where you’ll feast on the delicacies of Thailand alongside the dramatic backdrop of the rainforest. Finally, collapse into your comfortable, linen-covered bed for a blissful, well-earned sleep – more fun awaits you tomorrow. The sunrise in Khao Sok National Park is the ultimate reward for early risers, and the sounds of gibbons’ calls will have you in good company as they echo through the valley. Tea and coffee making facilities are available in your tent, so make the most of the peace and enjoy a hot cup from your tent-front patio. For those who would rather have a lie-in, enjoy! Breakfast is at your leisure this morning, so start your day just the way you like it. For the final adventure during your time in Khao Sok, it’s time to don your walking shoes (no flip flops allowed, but trekking sandals or sneakers will do) and set off into the rainforest. 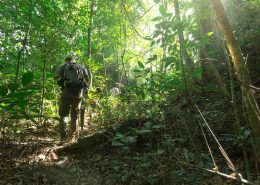 This isn’t an endurance test, the trek is accessible to those of moderate fitness, instead, it’s an opportunity to see first-hand the fantastic ecology in this part of the world. Tropical hardwood trees with dense root systems, palms, ferns, orchids, bamboo, the species of plants that exist in this small region are incredibly varied. 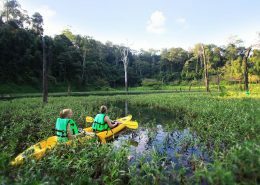 As you walk your way through the jungle, your guide may point out exotic wildlife as you go. This rainforest is home to macaques, leaf monkeys, tapir, pangolin and no end of other fascinating creatures. While sightings are never guaranteed, this is a fantastic opportunity to have your binoculars at the ready. Weather dependent, lunch is served in the rainforest, cooked traditionally in bamboo as explorers centuries past would have done. 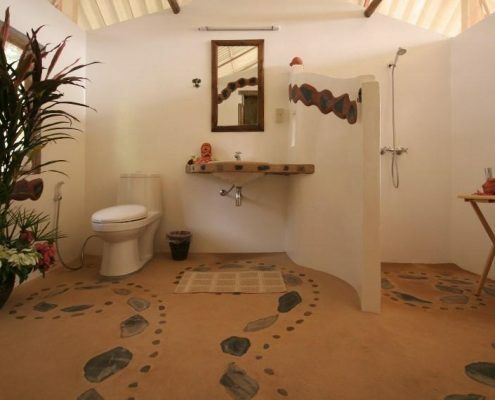 After lunch, it will be time to return to Elephant Camp where you can have a refreshing final shower in your tent before saying goodbye to fellow travellers. Your onward transfer awaits, whether to the airport, port or your next hotel. 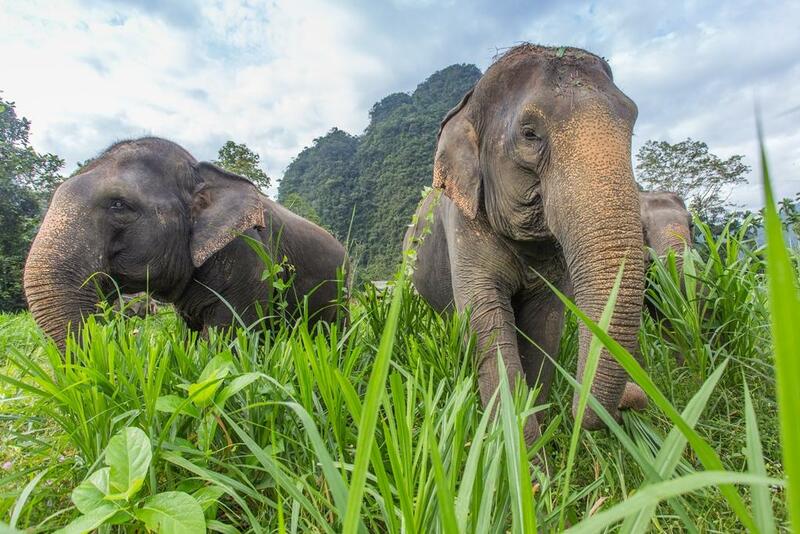 While the adventure may be over, the memories of your time in Khao Sok National Park are sure to last a lifetime. ALL GUESTS UNDERTAKING A TOUR AND STAYING AT ELEPHANT HILLS MUST HAVE PERSONAL TRAVEL INSURANCE FOR THE DURATION OF THEIR STAY AT ELEPHANT HILLS. ELEPHANT HILLS TOURS ARE NOT RECOMMENDED FOR CHILDREN UNDER THE AGE OF 4. ELEPHANT HILLS DOES NOT ACCEPT RESPONSIBILITY FOR CHILDREN UNDER THE AGE OF 4, PREGNANT WOMEN, PEOPLE OF ILL HEALTH OR ANYONE WHO IS SUFFERING FROM ANY CONGENITAL DISEASE, SICKNESS OR INJURY UNKNOWN TO ELEPHANT HILLS PRIOR TO ARRIVAL. All Elephant Hills tour packages are fully inclusive of accommodation, full board, activities as per chosen itinerary, a fully trained, TAT-licensed English speaking Thai tour guide as well as joint transfers to and from Elephant Hills as per our transfer options. Cancelation up to 30 days before tour departure: 10% of total package price; 30-15 days before: 50% of total package price; less than 15 days before or no-show will result in a 100% cancelation charge. Please bring non-slip shoes like sturdy sandals or trainers, loose comfortable clothes, sun protection and a rain coat (disposable raincoats are available to buy at our camp), swim wear for use at the pool or in the river and personal toiletries. Please also remember to bring your passport for the check in process. 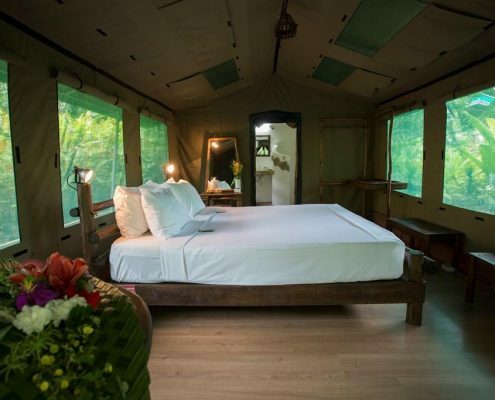 It is possible to bring your entire luggage to Elephant Hills for your tour if you are changing hotels when your tour program is finished; there is plenty of room in our tents. However, if you are returning to the same hotel, it may be advisable to just bring a small overnight bag for the duration of your stay and leave your main luggage at the hotel. All guests undertaking a tour and staying at Elephant Hills MUST have personal travel insurance covering them for the duration of their stay at Elephant Hills. Children’s ages: 4 -15 years. Elephant Hills does not accept responsibility for children under the age of 4, pregnant women, people of ill health or anyone who is suffering from any congenital disease, sickness or injury unknown to Elephant Hills prior to arrival. Sales prices are based on 2 people sharing a room. Single supplements may be applicable in the event of only one person booking. For a third person sharing a tent portable beds will be used, this is charged at the same rate as twin share prices. Kids between 4-15 years profit from our sensational kids’ discounts. Please understand that we cannot welcome children younger than 4 years of age.